1.Improve work environment: No fire spillover, the tank fully absorbs heat energy, surrounding radiation temperature is reduced by 90%. Saving energy while reducing the temperature of the kitchen. 2.Easy operation: one-button start, automatic electronic ignition,open or close at any time, automatic feed water, easy to use. 3.Generate steam fast: The normal temperature water heats 120 seconds and then can produce steam. 4.Low noise: Using negative pressure induced air way, the noise reduced by more than 60% than the traditional forced air type, lower than the national standard. 5.Reducing emissions: Emissions of CO is only 0.009%, 11 times lower than the national standard (national standard is 0.1%). 6.Energy saving: 50% energy savings. 7.The tank scale is more convenient to handle: Exclusive design of two drainage pipes, easy to clean scale. 8.Working medium: The used water is from the running water of customer, and it is safe, healthy, convenient and desirable. 9.Atmospheric steam: This product is a non-pressure vessel equipment, no dedicated room, no special equipment use permits, no yearly inspection, no manned, no annual inspection, no special person to guard. 10.Steam power diversification: Multiple models can be selected, and it meets the needs of various industries, different power. 5.Sterilization disinfection (tableware, medical equipment, food utensils disinfection, disinfection of high temperature steam farms). 7.Agricultural greenhouse, seed production (agriculture greenhouse heating and humidifying plant seed industry) to solve the environmental problem. 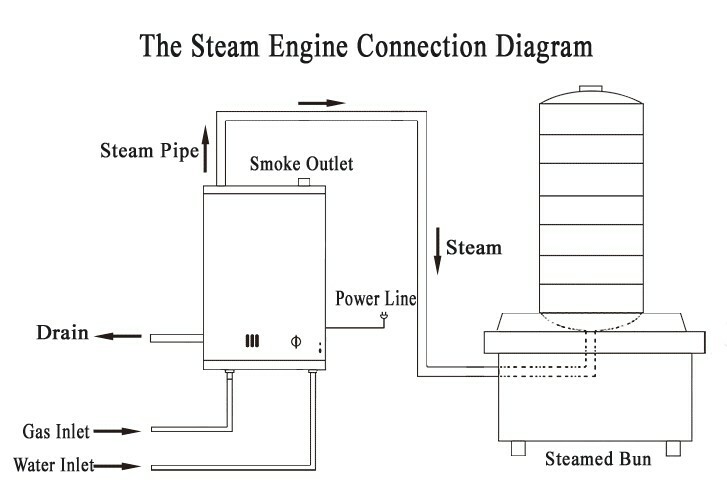 1.High emission, high pollution and low efficiency problems of traditional steam boiler. 2.Large investment, long start-stop cycle and nonadjustable steam supply problems of traditional coal or electric steam boilers. 3.Atmospheric pressure steam generator does not need to handle the complex pressure vessel use permit. 4.Solved the electricity difficult problem of the high power electric boiler. 5.One machine with multiple functions, and it can steamed food, cook soybean milk, boil water at the same time, flexible and convenient. 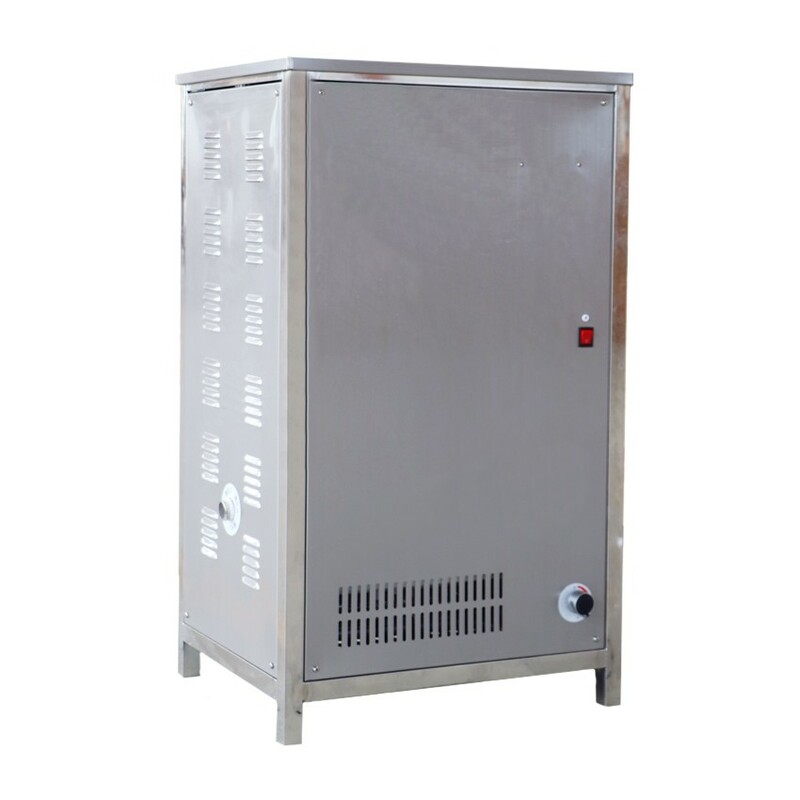 The electric steam generator adopts the split type structure, easily to remove, repair and maintain.